Scott Avvento started Alpine Cyber Solutions, LLC in January, 2013. Mr. Avvento as CEO is responsible for the daily management of all employees, tasking, and sales. Additionally, Mr. Avvento serves as the company’s chief cyber architect, coordinating the cyber solutions and services components of the company. Before starting Alpine Cyber Solutions, Mr. Avvento worked in the Defense and Aerospace industry. His most recent position was as Lead Cyber Architect for the SI Organization, an intelligence community contractor formerly owned by Lockheed Martin. 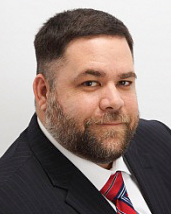 As Lead Cyber Architect, Mr. Avvento was responsible for the technical strategy and engineering direction for the SI Cyber Architecture, day-to-day management of the security infrastructure, and computer incident response. Prior to working at the SI, Mr. Avvento worked for Lockheed Martin IS&GS as Lead Information Security Analyst. His primary responsibilities included assisting with the creation of the Global Emergency Operations Center (GEOC). The GEOC was responsible for the Continuity of Operations (COOP) of all of Lockheed Martin IS&GS’s programs worldwide. Mr. Avvento also supported programs with the National Geospatial-Intelligence Agency (NGA) dealing with Systems Engineering focusing on security. Mr. Avvento earned his Bachelor of Science in Telecommunications from Kutztown University. He also holds the following certifications: ISC2 Certified Information Systems Security Professional (CISSP), ISC2 Information Systems Security Architecture Professional (CISSP-ISSAP), GIAC Certified Incident Handler (GCIH), GIAC Certified Intrusion Analyst (GCIA), and GIAC Certified Forensics Analyst (GCFA). 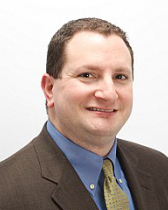 Steven Pressman started Alpine Cyber Solutions, LLC in January, 2013. Mr. Pressman as President is responsible for the strategic direction of the company and its products. Additionally, Mr. Pressman serves as the company’s chief solutions architect, coordinating architecture efforts in the virtualization, cloud, mobility, and general infrastructure solutions arenas. Before starting Alpine Cyber Solutions, Mr. Pressman worked in the Defense and Aerospace industry. His most recent position was as Chief Solutions Architect for the SI Organization. As Chief Solutions Architect, Mr. Pressman was responsible for the strategic direction for all internal systems, shaped the direction of the company’s commercial product lines, and served as a leader in the application and productization of cloud and big data technologies for the enterprise. Prior to working at the SI, Mr. Pressman worked for Lockheed Martin Enterprise Business Systems as Senior Computer Systems Analyst. His primary responsibilities included managing the infrastructure and architecture for major internal programs in the social media and collaboration space for the IS&GS line of business. In this role, Mr. Pressman served in the program management office with a focus on the technological direction of the projects, while designing the operational, test, and development computing environments. He became an expert in the application and integration of commercial and open source software to meet operational goals for the enterprise. Steve graduated from the University of Pennsylvania with a Bachelor of Arts and has a Masters in Information Systems from Drexel University. He also holds the following certifications: ISC2 Certified Information Systems Security Professional (CISSP), GIAC Certified Enterprise Defender (GCED), RackSpace CloudU certificate.